The idea for this post came to me, believe it or not, while I was running in the wind. Something happened to me. Something I had previously thought was a physical impossibility, it happened to me. 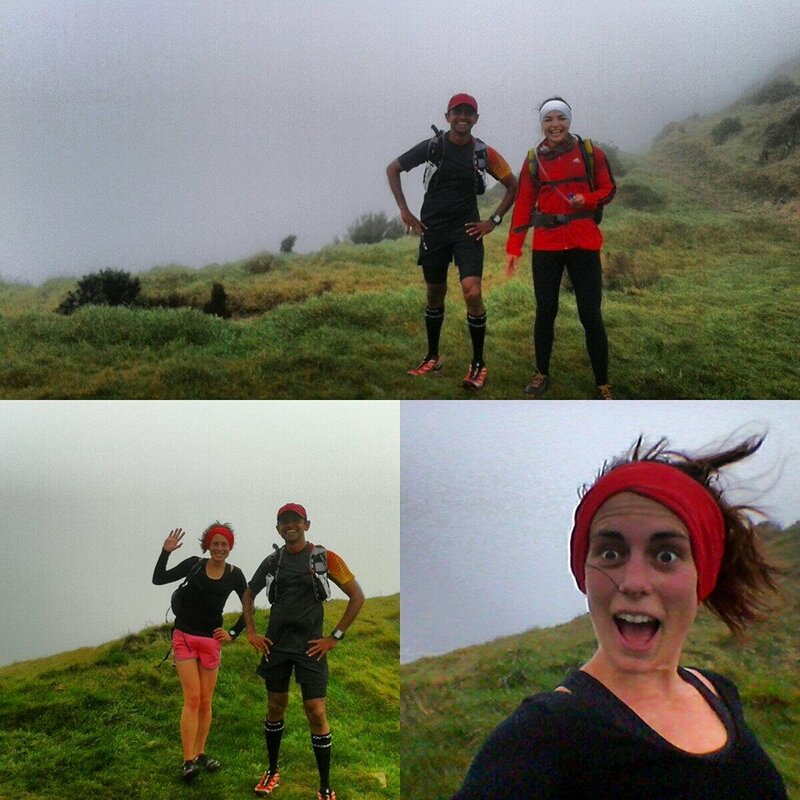 If you run in Wellington you can’t avoid running in the wind. Some runners spit when they run, I am one of those runners. Sucking in air like a vacuum cleaner with a full bag means you get little spittles around your mouth. This is fine, you use your tongue muscles to collect them in to a nice little ball in your mouth, then you launch that ball off the side of the pavement. Look both ways in case any people are near. Look right, look left, look right again. Now you may spit. Now add in 95km/ph winds that gust and change direction; you realise you have taken the care-free spitting for granted. Males quickly learn about wind direction as soon as they are out of nappies, so have honed their skills in judging where a stream of saliva (or otherwise) will fly in a projection. Females are not so practiced at this. I have misjudged the wind a number of times and my target of the pavement has been missed. What I have managed to hit is my legs, shoulder, chest, chin, neck, arm, cheek, and most recently, the inside of my ear. One very large, and very stringy, 17km’s worth of hard running’s built up saliva spit ball straight in to my ear hole. GOAL! I’d almost given up on spitting in to my ear, thinking it was in the category of ‘kissing your elbow’, but I have finally added it to the ‘Impossible is nothing’ list alongside running an Ultramarathon and never eating bacon again. When you run in the wind, you are either fighting a head wind that makes your eyes water and blows the snot clear out of your nostrils, or flying along in bounds with your hair streaming behind you like a victorious flag. Unless you run in one direction and get a lift back, you’ll have the pleasure of experiencing both. When I encounter wind I try to lean in to it, like I’m running up a hill. Through teary eyes I focus on not being blown into oncoming traffic, ignore the sea water being blown over me and sniff deeply or employ the help of my sleeve to prevent having a sticky booger face. I put my head down, put one foot in front of the other and remain positive, thinking about the run back with a tail wind and all the energy being generated by those wind turbines. People with long hair- put it in a bun or it the wind will whip yo hair back and forth across your face, ouch. Don’t fear the wind! The more you get use to running in it the easier it gets. If you are getting the tail wind, you’re prancing along like an excited pony and you run towards someone struggling against the wind, yell some words of encouragement! Or perhaps just give them a thumbs up in case they have something in their ear. Categories: Uncategorized | Tags: Complaining about nothing, half marathon, New Zealand, not even kidding, runner problems, running, running aesthetics, running tech, trail runner, training, wellington | Permalink.